The way we order food has changed. In fact, the way we shop in general has changed. Convenience and to-the-door delivery has higher priority than the “shopping experience” for those of us in snowy locales (and probably some of us who aren’t). The added benefit of shopping in your pajamas doesn’t hurt. This shift in our habits – and what we look for in the stores we revisit time and again – has changed the landscape for many industries. The only market that has yet to follow the rest of the world into the 21st century is the Canadian alcohol industry (you know, the one led by the provincial liquor monopolies, like the LCBO and SAQ). Ian Delves and Mike Kniazeff are changing that. 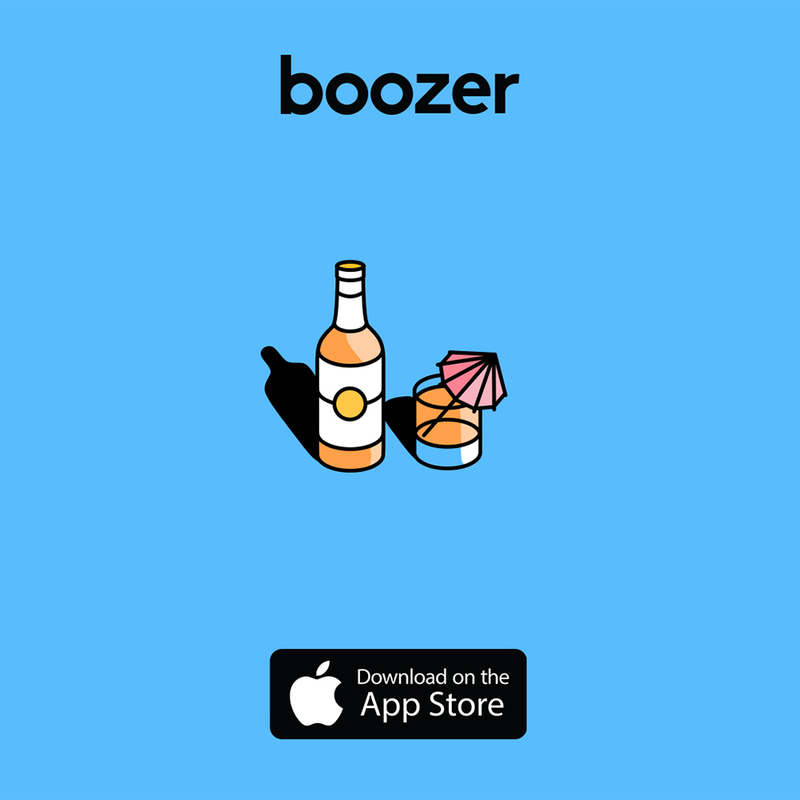 On November 23rd, these two friends and business partners launched Boozer Delivery, a mobile app that allows Toronto residents to order alcohol from the LCBO and have it delivered right to their door. Boozer Delivery works much in the same way as the now-popular UberEats. You place your order via the app; the order is given to a courier who heads to the LCBO and picks it up. Then, the courier brings that lovely package to your door. You get to stay warm AND have a lovely vino with your dinner. The best of both worlds. The one downside (I write as someone who doesn’t live in Toronto) is that the service area doesn’t include my address. Boozer Delivery’s service area currently covers the area from Keele to Victoria Park, and St. Clair to the water. Anyone who wants home delivery of their alcohol should download the app and vote for their area to be added to the on-demand area. I spoke with Delves and Kniazeff about Boozer Delivery, their inspiration and goals with the app and how they are changing the landscape of alcohol in Ontario, and, hopefully, all of Canada. What inspired you guys to create Boozer Delivery? Delves: We were in Tokyo [and] were both amazed at how convenient the city was. Everything was convenient .… And the drinks were no exception. You could get beer, cocktails, mixed drinks, whatever you want, all over the place at any point in time, in the day or night. You could even get stuff from vending machines. We had come from Toronto and the contrast was pretty stark. We’ve got very few liquor stores relative to the populace; they’re stationed far apart, have weird hours, and when you get there, there’s often a hectic scene with long lines. Even once you get through that, you have a heavy walk home with all your stuff. We knew there could be a better option than that. At the same time, we were pretty familiar with UberEats — we’ve seen the sort of shift towards people moving food in a convenient way. There’s kind of a gap in alcohol. So, we identified the market gap … and decided to fill it. How will Boozer Delivery fill the gap? Kniazeff: If you’re thinking about UberEats and any of those food delivery type apps. We’re kind of the whole package. So we’re the restaurant. When you place an order, our couriers go to the LCBO, they pick the booze, and then they check it out and then they go and drop it off. Basically, we’re the UberEats of alcohol. Delves: I think we both think that Boozer is important because we really are trying to modernize the way Torontonians, and eventually Canadians, get alcohol. It’s kind of like a hangover from prohibition, where it was illegal to have any kind of alcohol. If you know the history of the LCBO or the history of alcohol in Ontario. It’s gone from being very clinical and very measured in terms of what you can and can’t get …. They’ve been updating slowly …throughout the years, and as of recently, they’ve been taking steps in doing delivery and … things like e-commerce; being more digital focussed. We’re really just trying to accelerate the pace of modernization for the alcohol industry, specifically in Ontario where it’s been a bit slower than other places in the world. We’re trying to improve accessibility and accountability, when it comes to alcohol for consumers. And give them more choice. We kind of pride ourselves on the platform we’ve built, which we think offers the greatest choice. And we know offers fast delivery and also has high standards of delivery. Delves: Typically the delivery time is about an hour. Which is a great benchmark that we set for ourselves and we’re happy to be making. Kniazeff: As the courier fulfills the order, they’re marking those steps within their app. So you’re getting real-time updates on where your courier is, when he’s arrived at the store, when he’s collected the booze, when he’s arrived at your location and then when he’s finally dropped it off. It’s kind of the same experience, I guess, that we would expect from an app that delivers. One question that has been on my mind since learning about Boozer Delivery is – given the restrictions and liquor laws – how do you offer the service? Delves: We’re fully licensed; we have a license to deliver through the AGCO, which is the Alcohol and Gaming Commission of Ontario, that grants us the ability to legally make these deliveries to our customers. Kniazeff: We have a license to deliver, but we’re actually representing the customer. So the customer has to place an order, and then we have to fulfil that order up until after an hour of the LCBO closing. Delves: When it comes to regulation and making sure the couriers are handling the product properly, doing ID checks and things like that, we make sure that all our couriers are SmartServed. That’s the same certification that anybody selling or handling alcohol, in any other booze related capacity, has. Someone like a bartender or at the LCBO itself, they all have the same certification. So when the customer receives their order, when the Boozer Delivery guy comes and delivers it, the person receiving it has to show an ID if they look under a certain age. We also ensure the right person’s getting it by getting a signature in the app at the time of delivery. You launched on November 23rd, how do you guys feel about the results so far? Delves: We had a big launch party, that about 700 people came to, which was great. Kniazeff: I thought it was like a thousand. Delves: Ok, so hundreds and hundreds of people came to the party. We had some great sponsors… and we made sure that, the whole concept of the party was to activate people, so there was free booze from some great sponsors of ours. You had to download the app to get into the party. So there were a lot of downloads from that. In designing the app, we realized we’d have to compete on design and on brand. And we’re getting a lot of good feedback on the brand. Plus, we’re getting good feedback on how clean, intuitive and simple the user experience is – how easy it is to browse products in the app. We offer a lot more information than you get in store, about where the product is from, … tasting notes and descriptions … alcohol content, things like that. You can actually navigate to it. When it comes to choice, another one of the pillars we built upon, we have the largest inventory available to purchase – over 20,000 products to choose from. When it comes to the service itself, we have the fastest delivery times. We have 100% completion rates for our orders and typically it’s within an hour. Kniazeff: We’ve actually even seen deliveries done in 15 minutes. It’s kind of crazy how fast it can be. It’s just convenient. So pretty cool stuff. Delves: When you combine that with some of the features we have – the ability to track your orders from start to finish, so there is no guess work – it’s a super convenient service for people. What are your plans for the future of the app? Kniazeff: There’s a lot we want to do. Delves: We want to increase flexibility, improve the range of our delivery service in terms of time, options and geography. Do you think you’ll go to other cities? Delves: Right now, we’re licensed for Ontario. The next step will be the major populations for Ontario. Beyond that, we’ve already looked into legislation for Quebec and BC, so we’re ready to move there as soon as we get a winning model here.